Rayton Okwiri sealed his qualification for Rio with a gold medal in the final against Egypt’s Walid Sedik Mohamed in the men’s welter weight bout on Saturday at the close of the AIBA African Olympic qualification event in Yaounde, Cameroon. 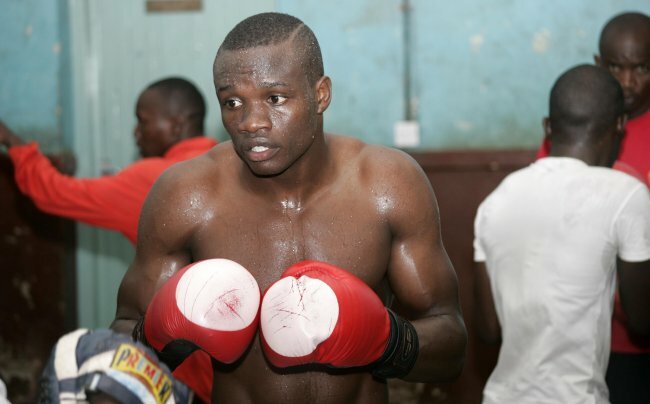 Okwiri who had qualified for the Olympics on Thursday didn’t let a second chance pass him after narrowly missing out on London in 2012 by eliminated Ghana’s experienced Azumah Mohammed in their semi final bout. The 29-year old gold soothed saved Kenya the blushes after all the other 12 pugilists failed to book Rio tickets. Cameroon's Simplice Fotsala denied the other Kenyan veteran Peter Mungai Warui who came closest to qualifying at the quarter finals. It is the second career gold medal for Okwiri who won the Lions Cup in 2014 in Sri Lanka. He won bronze at the 2011 All Africa Games but slipped to fifth in Congo last year. Kenya sent 13 boxers the highest number of the participating nations to fight out for the 30 quotas for men and three for the women. Uganda with six boxers managed to qualifty two Kennedy Katende in the men's light heavy and Ronald Serugo in the men's fly weight category. Women:Christine Ongare (flyweight), Teresia Wanjiru (lightweight), Elizabeth Akinyi (lightweight).